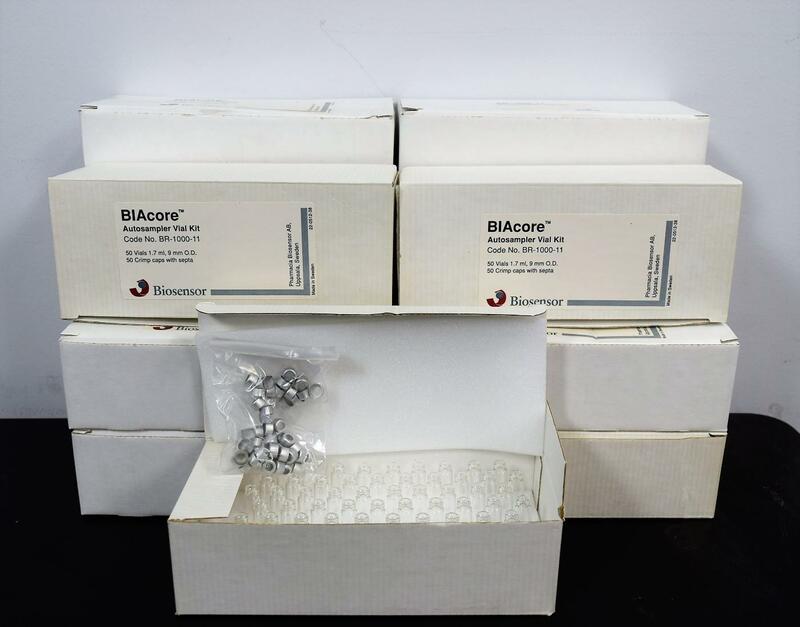 BIAcore BR-1000-11 Autosampler Vial Kits and Crimp Caps w/Septa 1.7ml-9mm O.D. . New Life Scientific, Inc.
BIAcore BR-1000-11 Autosampler Vial Kits and Crimp Caps w/Septa 1.7ml-9mm O.D. 750 Clear Glass 1.7ml – 9mm O.D. These glass vials are for the Beckman Coulter Autosampler DU-800 but may work on other models as well. They are clear glass with crimp caps that have the septa in them. To purchase these new they are usually $1 each without the caps, buy the lot of 750 vials and there crimp caps and SAVE.